PITTSBURGH—Carnegie Mellon University's Stephen Fienberg has been named to the U.S. Department of Justice and the U.S. Department of Commerce's National Institute of Standards and Technology's (NIST) newly created National Commission on Forensic Science. The commission is part of a new initiative to strengthen and enhance the practice of forensic science and is made up of 30 members who were chosen from a pool of 300 forensic service practitioners, academic researchers, prosecutors and defense attorneys. Fienberg, the Maurice Faulk University Professor of Statistics and Social Sciences, will be the commission's only statistician. The members will create guidelines concerning the intersections between forensic science and the criminal justice system and develop policy recommendations for the U.S. Attorney General, including uniform codes for professional responsibility and requirements for formal training and certification. "I appreciate the commitment each of the commissioners has made and look forward to working with them to strengthen the validity and reliability of the forensic sciences and enhance quality assurance and quality control. Scientifically valid and accurate forensic analysis supports all aspects of our justice system," said James M. Cole, deputy attorney general who will co-chair the commission with Under Secretary of Commerce for Standards and Technology and NIST Director Patrick D. Gallagher. Nelson Santos, deputy assistant administrator for the Office of Forensic Sciences at the Drug Enforcement Administration, and John M. Butler, special assistant to the NIST director for forensic science, serve as vice chairs. Fienberg, an elected member of the National Academy of Sciences (NAS) and current co-chair of the Academy's Report Review Process for its operating wing, the National Research Council (NRC), has extensive experience in forensic science. For NAS, he has chaired the Panel on Statistical Assessments as Evidence in the Courts, whose 1989 report includes a case study assessing the quality of forensic hair identification and recommendations to improve judges, juries and attorneys' understanding of statistical evidence, and the Committee to Review the Scientific Evidence on the Polygraph, which found that polygraph testing was too flawed for security screening. He was the lead organizer of the 2005 NAS Sackler Colloquium on "Forensic Science: The Nexus of Science and the Law." Fienberg has co-chaired the American Judicature Society's Commission on Forensic Science and Public Policy with former Attorney General Janet Reno and the honorable Judge William Webster. He also is a fellow of the American Academy of Arts and Sciences, the American Academy of Political and Social Science and the Royal Society of Canada. 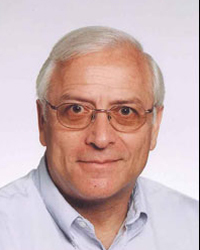 Fienberg's many awards include the 1982 Committee of Presidents of Statistical Society Presidents award for Outstanding Statistician Under the Age of 40; the 2002 American Statistical Association Samuel S. Wilks Award for his distinguished career in statistics; and the first Statistical Society of Canada's Lise Manchester Award to recognize excellence in state-of-the-art statistical work on problems of public interest. "I have had a longstanding interest in the role statistics can play in setting forensic methods on a firm scientific foundation," Fienberg said. "All too often forensic practitioners have relied upon tools with little or no sound empirical base. Carefully designed statistical evaluation studies are the key to technical advances and the setting of empirically based standards so that the term 'forensic science' is no longer viewed as an oxymoron." John P. Holdren, assistant to the president for science and technology and director of the White House Office of Science and Technology Policy, believes that the commission is crucial. "This latest and most impressive collaboration between the Department of Justice and the National Institute of Standards and Technology will help ensure that the forensic sciences are supported by the most rigorous standards available - a foundational requirement in a nation built on the credo of 'justice for all,'" he said. For more information and to read the full announcement by the Justice and Commerce departments, visit http://www.justice.gov/opa/pr/2014/January/14-at-029.html.